Dairygold recorded a turnover of €965.5 million (2016: €756.1 million), delivering an EBITDA of €52.8 million (2016: €39.0 million). At year end the net asset value of the business was €335.5 million (2016: €307.5 million), while net bank debt was reduced by 10% to €79.6 million, a prudent level given the scale of the organisation and levels of profitability. 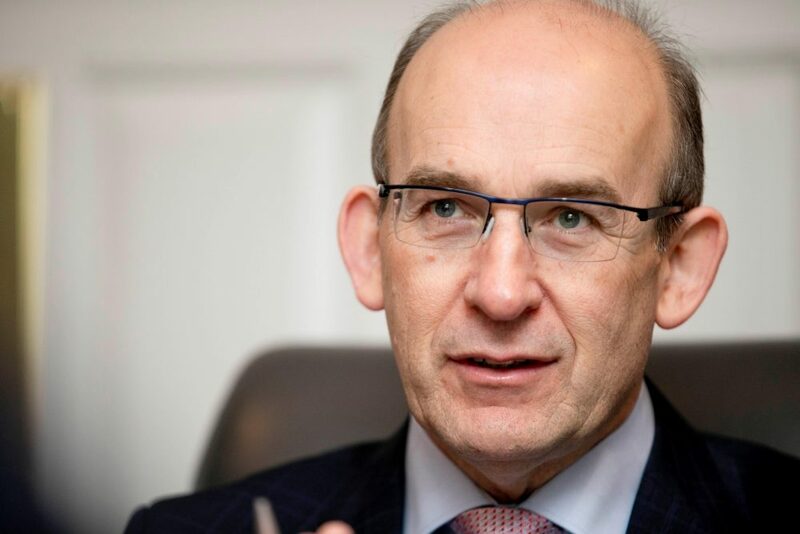 Dairygold continued its ambitious capital programme during the year, investing a further €13.4 million in the business, bringing the total investments over the past five years to €162.1 million. 2017 was a successful year for Dairygold, delivering a robust financial performance and strengthening its balance sheet, while paying leading prices for milk and grain to its Members. Dairygold’s turnover was positively impacted by continued milk production expansion on Milk Suppliers’ farms and strong global dairy markets during the year, despite a slowdown in the last quarter. Dairygold’s milk production volumes rose to 1.3 billion litres, an increase of 8.3% on the previous year and represents a cumulative volume increase of 55% since 2009, well ahead of the ambitious targets in the Government’s National Strategic Plan (Harvest 2020) targets. Global dairy market returns in 2017 were significantly stronger than in 2016 reflected in the Society’s average milk price of 37.6 cent per litre, an increase of 10.6 cent per litre on 2016 (27.0 cent per litre). Milk price increases were primarily driven by butter returns. However, from early Quarter 4 2017, the global market was returning significantly less than the milk price paid to producers, a situation that has continued in Quarter 1 2018. The main factor was the rapid deflation of the butter bubble which went from a high point of €7,000 per tonne in August to less than €4,000 per tonne by year end. Despite market fluctuations and weakening returns towards the end of 2017, Dairygold held its milk price to ensure that milk prices did not drop at any time over 2017 – a welcome position particularly after the challenging market conditions that prevailed in 2015 and 2016. Sustainability is a key priority for both Dairygold and its Members who are 100% compliant in SDAS (Sustainable Dairy Assurance Scheme). Taking a proactive approach to mitigate the environmental impacts of expansion is at the forefront of our agenda and has increasingly become a prerequisite to doing business with international customers. The continued uncertainty in relation to Brexit is a key concern and Dairygold is clearly focused on developing alternative routes to market and on product diversifications as part of its risk mitigation and value-added strategies. Dairygold is working with all industry stakeholders and Government at the highest level to ensure the challenges for the Irish dairy industry are understood and addressed as part of the negotiations. In Dairygold’s Agri business, turnover was up year-on-year, driven by increased farmer demand for feed and fertiliser to support expanding production on-farm. Regrettably, it was again another very challenging year for cereal and grain growers. In line with its co-operative ethos, Dairygold paid its Suppliers leading prices for their grain during the 2017 harvest. Dairygold has invested €162.1 million in the business over the last five years primarily across its four processing sites (Clonmel Road and Castlefarm in Mitchelstown, Mogeely and Mallow). In 2017, Dairygold continued to build its presence in markets with the opening of an office in Shanghai, China to service its Chinese Customers and the broader Asian markets. Dairygold continues to work on its value-added strategy focused on Cheese and Nutritional Powders through organic growth and acquisition and by leveraging on its operational and commercial capability together with its financial strength. It awaits an imminent decision from An Bord Pleanála in relation to a multi-million-euro Jarlsberg® cheese facility in Mogeely with TINE SA, one of Dairygold’s commercial partners which signalled its commitment to the partnership development with Dairygold in November 2017 when it ratified €77 million in funding for the project. Recognising the significant global trend in the consumption of infant and adult nutrition as a key ingredient to support a healthy and active lifestyle at all life stages, Dairygold is continuing its journey to create more functional and sophisticated products. Over the next two years, significant investment will be made primarily in its Nutritionals Campus, Mallow to enable the production of a range of value-added dairy nutritional products.